The communist-party controlled Global Times has lavished praise on a Vatican bishop who recently proposed China as the “best” model of Catholic social teaching, claiming he speaks the “truth” about life in China. In a Friday op-ed, Global Times writer Ai Jun said that recent comments exalting China’s communist government by Bishop Marcelo Sanchez Sorondo, the Chancellor of the Pontifical Academy of Social Sciences, express “the perspective of an authoritative religious figure” and are helpful in contradicting “misunderstandings of China.” The Global Times is owned by the Communist Party mouthpiece, the People’s Daily. The Global Times slammed a Wednesday Breitbart News report suggesting that Bishop Sanchez had been taken in by the Chinese propaganda machine and gullibly believed claims that there are no drugs and no slums in China and that Chinese citizens enjoy freedom of religion. Such reports reflect “a prejudice against China,” the op-ed stated. While the Global Times claimed that the Breitbart report “suggested it was hard to understand how the Holy See could cut a deal with Beijing,” this is false. It rather questioned assertions that life in modern China exemplifies Catholic social teaching done right. “At this moment, the Chinese are the ones implementing Catholic social teaching best,” Sanchez said. “Maybe someone needs to tell Bishop Sanchez Sorondo that since February 1, with the implementation of the new regulations, all the unofficial churches have been closed and at least 6 million Catholics no longer have a place to meet,” he said. “The regime that ‘best shows Catholic social teaching in action’ has threatened arrests, stratospheric fines and expropriation of the buildings where the faithful gather,” he added. The essay in the Global Times asserts that China’s recently revised regulations on religious affairs “better guarantee its citizens’ freedom of religion,” a statement that directly contradicts the judgment of countless independent observers, who insist that the new regulations have been devised to tighten Beijing’s control over all religious activity in the country. In its most recent report, the U.S. Commission on International Religious Freedom (USCIRF) declared China to be a “country of particular concern” for its egregious violations of religious liberty against Christians and others. During 2016, “as China’s President Xi Jinping further consolidated power, conditions for freedom of religion or belief and related human rights continued to decline,” the report states. “Authorities target anyone considered a threat to the state, including religious believers, human rights lawyers, and other members of civil society. In 2016, the Chinese government regularly emphasized the ‘sinicization’ of religion and circulated revised regulations governing religion, including new penalties for activities considered ‘illegal’ and additional crackdowns on Christian house churches,” the report adds. 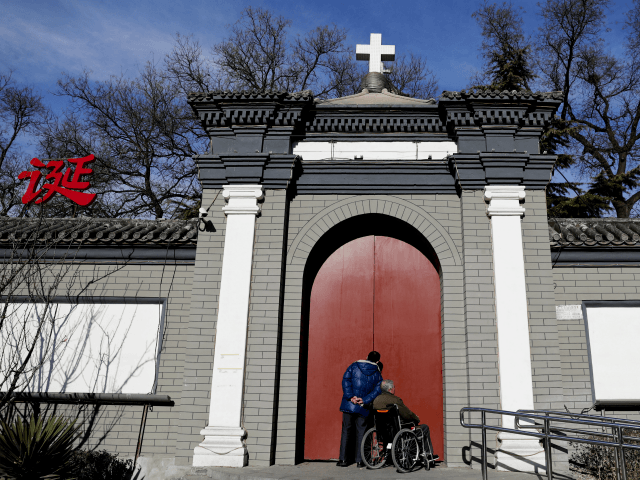 As Breitbart News reported Friday, Chinese officials have now ordered priests and pastors to post signs on churches barring entry to minors as part of the new set of religious regulations that went into effect on February 1. “Minors receiving religious education and formation too early in churches would seriously affect the normal implementation of the education system,” read a notice last August in China’s Ouhai district.